but I was thrilled with how easy and awesome this cape turned out! And gotta love that accidental hexagon sun flare bokah! 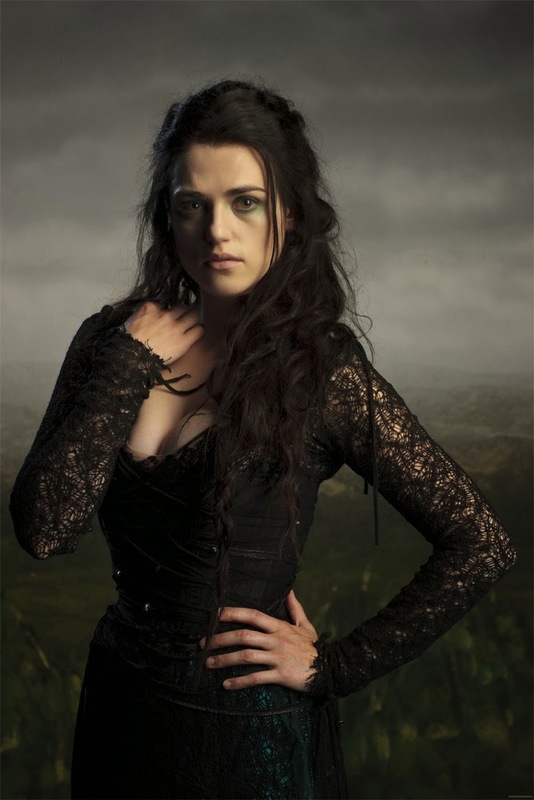 I decided to go as Morgana from the Merlin series. I loved when she would sneak around at night in a glorious RED hooded cape! And when she embraced more evil magic...she looked awesome! So I went with a combination of the 2 looks. 4 identical pieces. 60 inch width fabric made this perfectly flowy! I used all the width at the bottom and tapered it up to the top. 2 pieces are separate and cut on the selvage edge. 1 piece was cut on the fold. 3 pieces for the cape. Measure from the base of the neck to the floor for the length measurement. Then a simple stitch on the tapered edges to sew all 3 pieces together. Then I rounded off the bottom edge and hemmed it. As well as rolling that selvage edge and hemming the sides. I knew I wanted a giant hood. I'd wear it down mostly, so I wanted it big and impressive. I traced my hoodie hood and made it very exaggerated. Sewed it and flipped it right side out. and I didn't want my hair to cover the hood completely. I gathered the top edge of the cape just enough to fit the width of the hoodie. Then I pinned it in place...yes, I rarely use pins...but this is a must! Pinned so that they are the same width. With just a subtle amount of gathering. 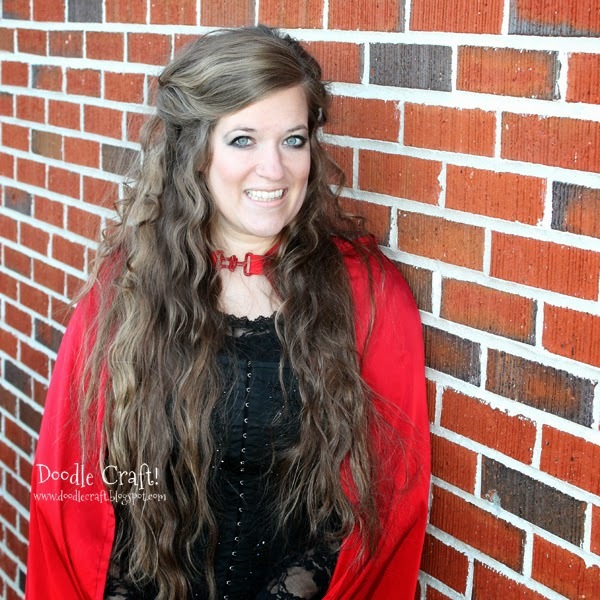 I used ribbon and an old red belt clasp for the cape clasp. It's a little sloppy with my black thread...but alas, I love how it turned out! The air caught it perfectly when I walked! I think it will work for a ton of other costumes too! Like Little Red Riding Hood or something Christmasy! Beautiful costume. I love your curly hair! Thank you!!!! I was able to successfully make a cloak from this tutorial. Mine is black and has a rounded hood. I don't have pics yet. I liked the way this one was constructed better than other tutorials that just used rectangular pieces. I am relatively new at sewing and had no problems following your instructions. 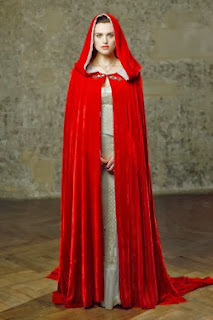 What kind of fabric did you use to make this cloak?